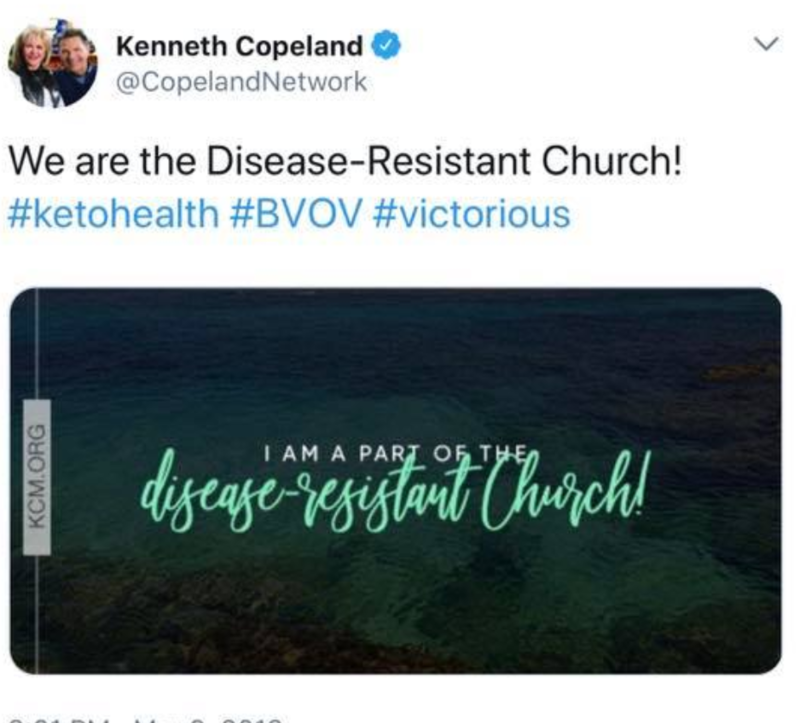 In Spite of Compound's Giant Medical Staff, Copeland’s Say They Are "Disease Resistant Church"
Last month, Gloria Copeland made the news for saying that their followers don’t need the flu vaccine because they’re immunized by the Word of God. We wrote about that in the post, Charismatic Prophetess Suggests Holy Spirit Flu Immunity. A few days later, the Copelands double-downed with an article on their personal blog entitled, Can You Really Have Victory Over the Flu? Absolutely! How Do We Know? God Said So! Charisma Mag ran an article, Gloria Copeland: Skip the Flu Shot and Innoculate Yourself with the Word of God. After ten days of people making fun of the notion on the sheer ridiculousness of it, Charisma Mag ran another article, contradicting their first, saying that Copeland never said such a thing (Hint: She did, it’s on record, and on video). They entitled that one, Did Gloria Copeland Really Say Not to Get a Flu Shot? The answer to that is yes. Oddly enough, in the rejoinder published by Charisma Mag (linked above), the Copelands argue that they would never tell people not to get a flu shot because they have a medical clinic and staff providing free medical services at their billionaire’s lair in Texas. Which, of course, made us want to investigate a little bit further. 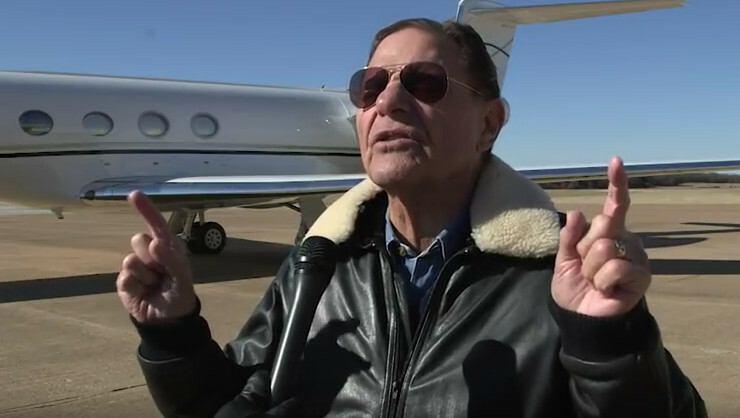 All employees must be born-again believers, Spirit-filled with evidence of speaking in heavenly tongues, attend and be a member of a church that believes the same foundational principles as Kenneth Copeland Ministries, and adhere to the doctrines of this organization as put in place and upheld by Kenneth and Gloria Copeland and their appointed representatives. We provide multiple medical benefit options. Full-time employees can choose from HSA or PPO health insurance plans administered by Cigna, three SafeGuard dental plans and an EyeMed vision plan. We also have an on-site medical clinic, a well-equipped fitness facility and more. Now, this is weird for a church that is disease-resistant. Why would you need HSA, PPO, dental or eye insurance, let alone an on-site medical clinic if you’re disease resistant? Why would you need this if, like Copeland, you believe that temporal healing was provided for in the atonement? Weird. You can see their health benefits here. Next story You Must Listen to this Sermon: Preachers or Witch Doctors?